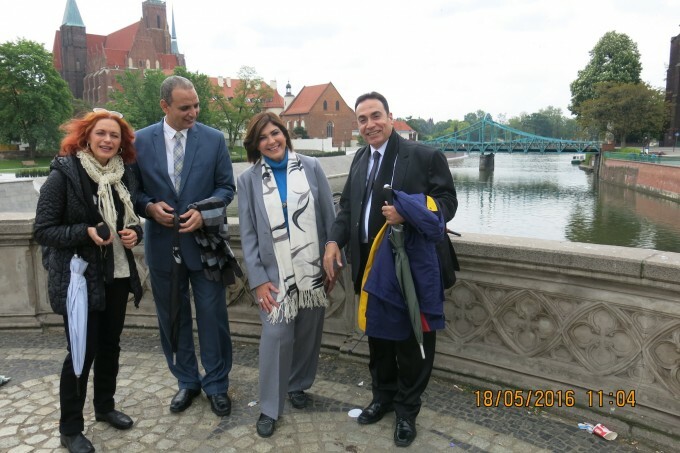 By the invitation of the Wisdom of Nations Foundation the official delegation from the University of Ain Shams visited Poland between May 16 and May 20 2016. The Ain Shams University is second-largest University in Egypt (after the Cairo University). Prof. Dr. Moustafa Zayed, Head of the Department of Archaeology, University of Ain Shams. Dr. Reda Abdel Khalifa was the third member of the Delegation. He is employee of the Ministry of Antiquities and the Director at the Three Pyramids of Giza area responsible for international relations. 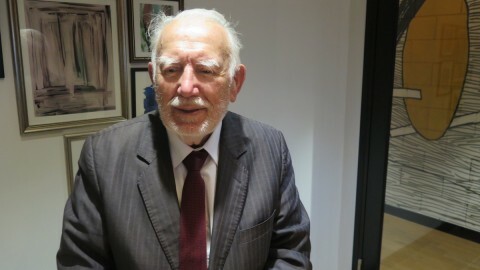 Dr. Reda is also a member of the Foundation’s Council. 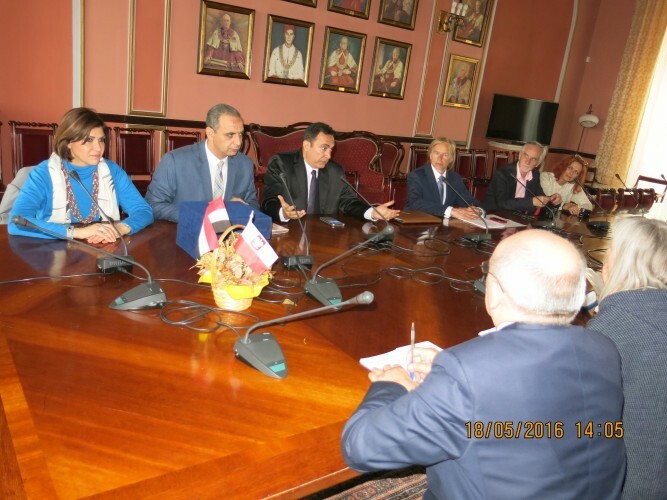 Egyptian delegation was invited to Poland in order to sign the Agreement of Scientific Cooperation between the University of Ain Shams, and the Foundation for the Support of Research to Disclose Ancient and Modern Knowledge Wisdom of Nations. During a walk at Warsaw’s Old Town. Egyptian Delegation landed in Warsaw’s Chopin Airport on Monday morning, May, 16th. Foundation’s President, Andrzej Wójcikiewicz, was the host for the Delegation in Warsaw. Just after the arrival on Monday, the Delegation met with the Deputy Director for Research of the National Museum in Warsaw, dr. Piotr Rypson. The talks focused on possible cooperation between the University and the Museum in the organization of future joint exhibitions and scientific cooperation. At the Office of the Foundation in Warsaw. 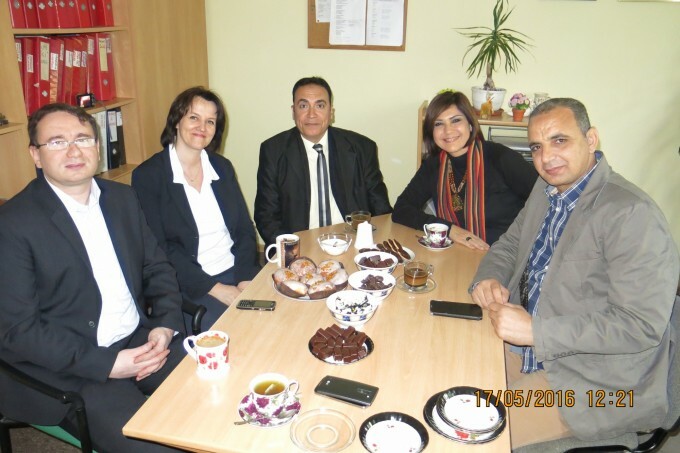 From the left: Michal Żarek (Member of the Board), Marta Skora (Office Manager), Dr. Reda Khalifa, Prof. Suzan Elkalliny, Prof. Moustafa Zayed. On Tuesday, May 17th, our guests visited the Foundation’s office in Warsaw. Mr. Michał Żarek, member of the Foundation’s Board and Mrs. Marta Skóra, the Office Manager – were also present in order to greet distinguished guests. During the meeting some details of the intended agreement between the Foundation and the University were discussed. Then the Delegation visited the Warsaw’s Old Town. In the evening the Delegation and Andrzej Wójcikiewicz left Warsaw by train to Wroclaw. Adam Szynkiewicz and Iwona Stankiewicz were hosts for the Delegation in Wroclaw and greeted them at the Hotel Park Plaza, where Delegation was accommodated. On Wednesday, May 18, the Delegation was received by Prof. dr. Adam Jezierski, Vice-President for Research and International Relations for the University of Wroclaw. The meeting was in the presence of five representatives of the Department of Archaeology. 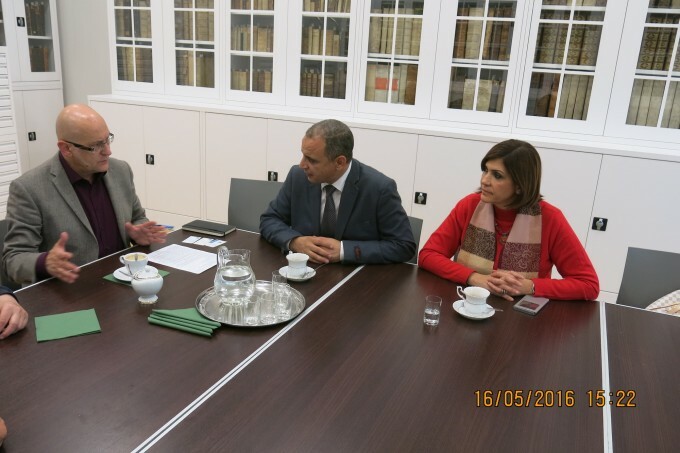 The talks focused on a possibility of opening at the University of Wroclaw a Department of Egyptology in collaboration with the University of Ain Shams. There was also discussion about the overall future scientific and research cooperation between the two Universities. At the meeting the Wisdom of Nations Foundation was represented by two members of the Board: Andrzej Wójcikiewicz and Piotr Pełczyński, and three members of the Council: Adam Szynkiewicz, Iwona Stankiewicz and Dr. Reda Abdel Halem. After official talks the Agreement was signed between the University of Ain Shams, and the Foundation Wisdom of Nations. 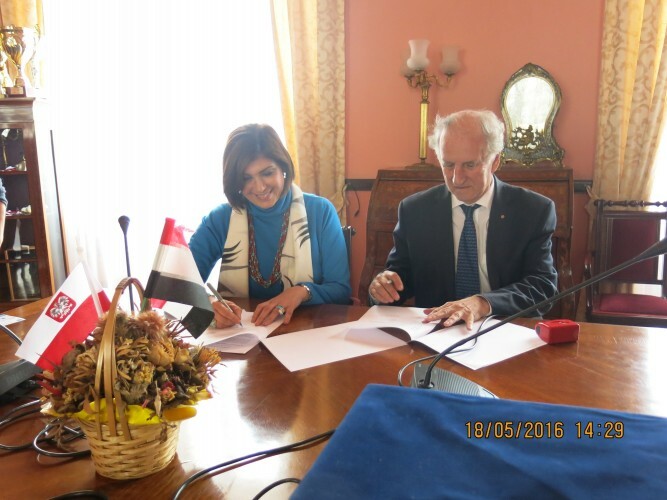 Prof. Suzan el Kalliny and prof. Moustafa Zayed signed on behalf of the University of Ain Shams. 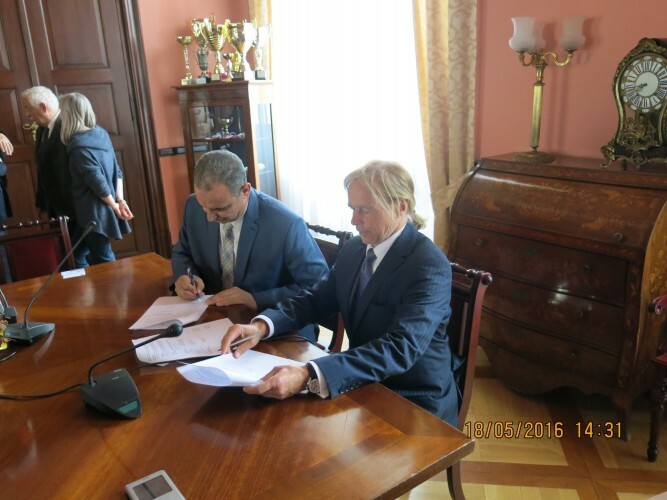 Andrzej Wójcikiewicz (Foundation’s President) and Piotr Pełczyński (Foundation’s Vice-President) signed on behalf of the Foundation. The signed Agreement is the unique event, because it gives the possibility of direct financing by our Foundation selected by the Ain Shams University scientific research projects in Egypt. The agreement opens the way for our Foundation to engage in research and excavations in selected areas of shared interest by both parties. On Thursday evening, May 19 the Delegation returned to Warsaw, and on Friday, May 20 our guests departed from Warsaw back to Cairo. I wanted this place thank very warmly our donors, both individuals and organizations through which the Foundation Wisdom Nations was financing the visit of the delegation from Egypt in Poland (the Academy for Future Sciences, USA, Prof. Dr. J.J. Hurtak, USA, as well as our Polish donors). 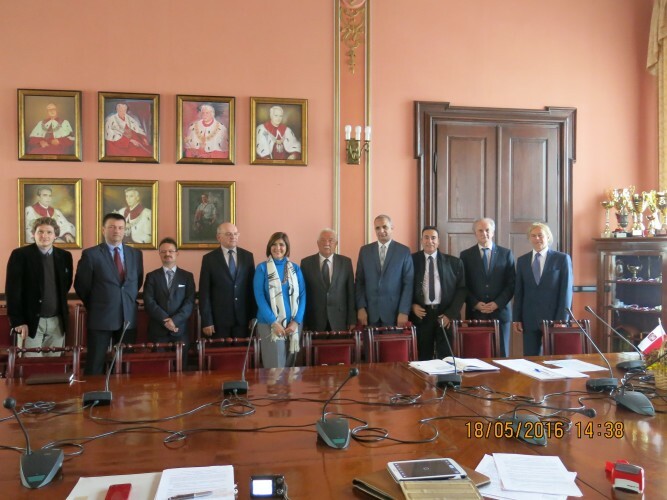 On behalf of the Board I thank also Dr. Adam Szynkiewicz, Ms Iwona Stankiewicz and Mrs. Iwona Rudnik (Foundation’s Founder) for the excellent organization of the stay of the Delegation from Egypt in Wroclaw and care devoted to Delegation members before and after the Ceremony at the University of Wroclaw. It is the second largest University in Egypt and among Arab countries, numbering – according to information provided by prof. Suzan El Kalliny – more than 250,000 students and more than 3,000 scientific staff. 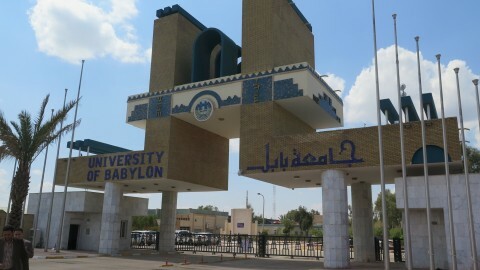 The University has 15 Faculties and two Institutes. Faculty of Arts alone has more than 40,000 students. It has 16 departments, and 389 employees: researchers, professors, assistants. Department of Archaeology is therefore part of the Faculty of Arts. It is headed by Prof. dr. Moustafa Zayed and incudes sections of Egyptology, Classical Archaeology, Greco-Roman Archaeology and Islamic Archaeology. There are over 800 students studying at the Archaeology Department, it employs 85 researchers. 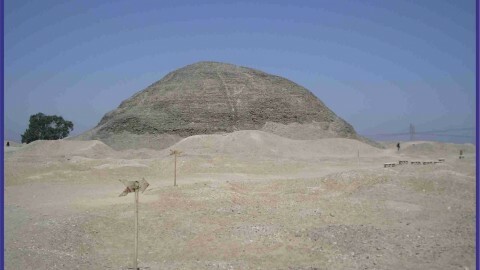 Department conducts a number of research and excavations throughout Egypt, such as in Luxor, Aswan, Giza and Alexandria. According to Prof. Suzan el Kalliny, the Ain Shams University is the oldest scientific institution in the world. Its history dates back to the early days of the pharaohs and its origins should be sought about 4,000 years BC, when a Center of Science was established called OUN, which in ancient Egyptian language means the Eye of the Sun. IBRACHIM PASHA, the son of Prince Mohammed Pasha, financed the development and establishment of the formal University in the year 1860. The current name: AIN SHAMS, the University adopted in 1950, referring to the ancient Egyptian tradition, as Ain Shams Arabic also means Eye of the Sun.